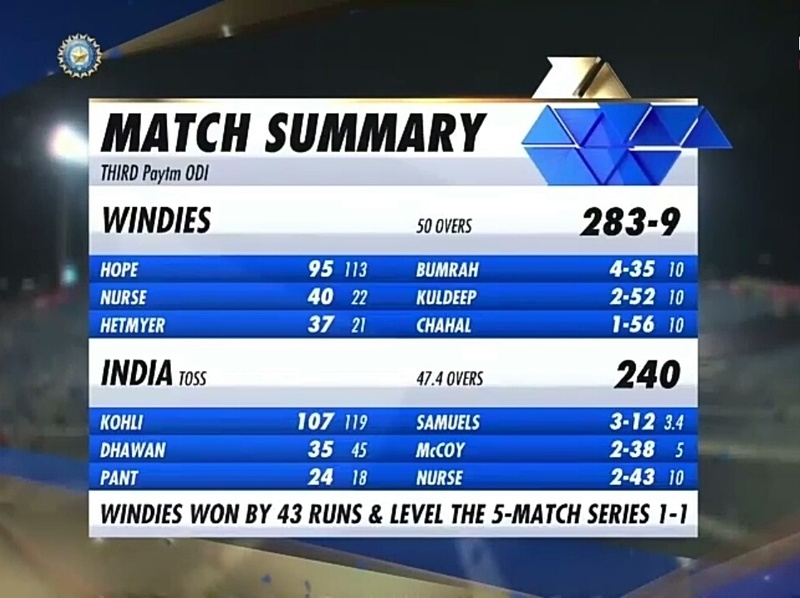 West Indies won the third ODI by 43 runs against India in Pune. Earlier, winning the toss, Indian captain Virat Kohli invited Windies to bat first, batting first the visitors scored 283/9 thanks to Shai Hope's brilliant 95 runs. Bumrah made a great comeback into the team with 4 wickets. In reply, Chasing the target of 284 runs, the Indian team was all out with 240 runs in 47.4 overs. After this win, the West Indies have leveled the 5-match ODI series by 1-1. 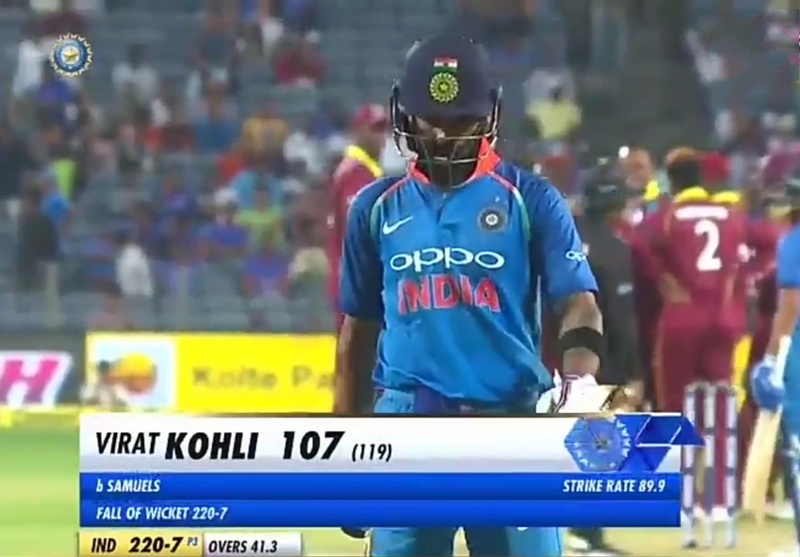 Indian captain Virat Kohli completed his 38th century and scored a 107 runs before getting out to Samuels but his innings proved to unsuccessful at the end, as team India fell short by 43 runs. 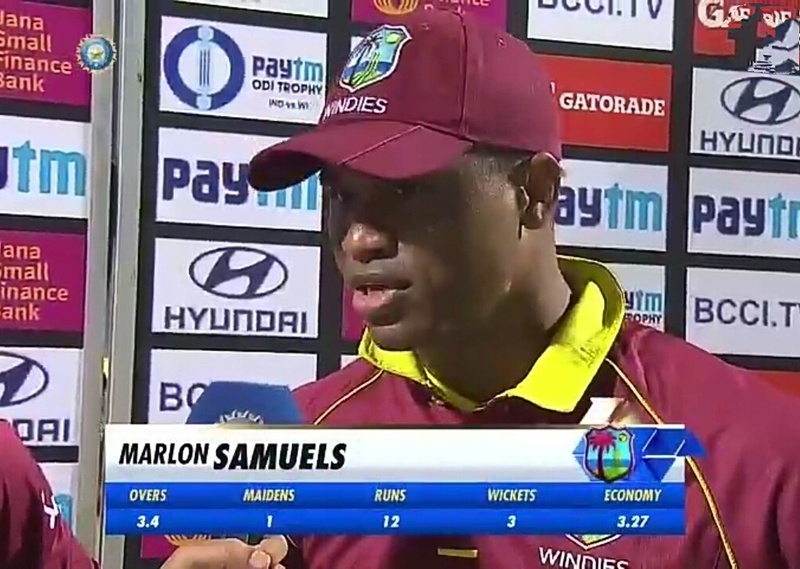 While, On behalf of the West Indies, Samuels picked 3 wickets for just 12 runs. Apart from him, Nurse, McCoy and Holder took two wickets each to contribute to the victory. Virat Kohli becomes first Indian batsmen to scored 3 hundred in a row. No indian players has ever scored 3 back to back century in the history of the game before him. 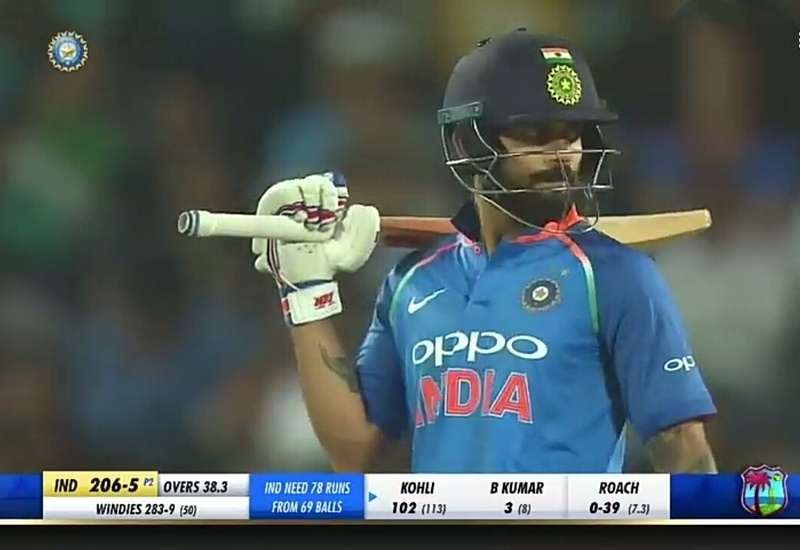 Virat Kohli becomes the fastest to scored 6000 runs in Asia, he completed this milestone in 117 Innings. Earlier this record was named after Sachin Tendulkar, he made this record in 142 Innings. 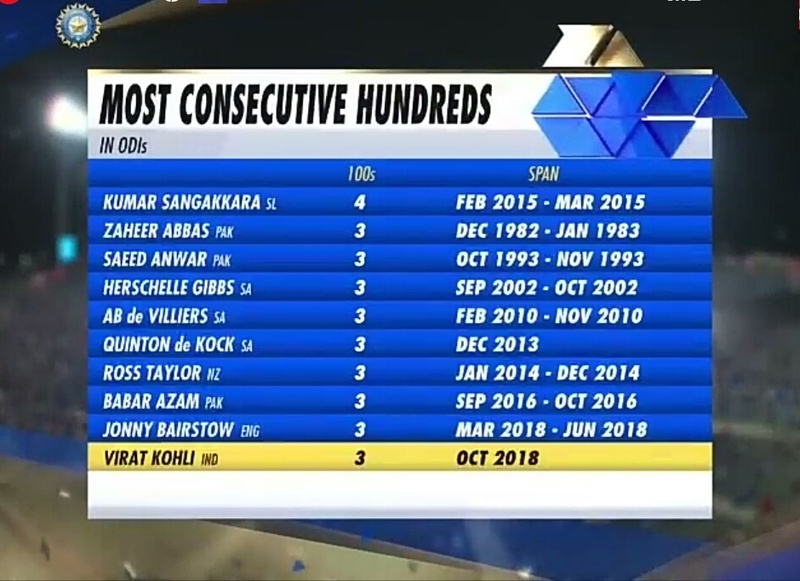 Virat Kohli completed 8000 runs playing at number three for India and has become only the 3rd player to achieve this rare record. Before Virat, Sangakkara and Ponting have made this record.